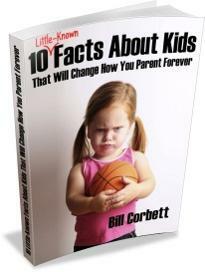 Get the help you need with parenting right NOW! "I've been working with parents and teachers as a behavior specialist for nearly 20 years and I raised three of my own. You might be wondering why I would give away for FREE what I normally charge hundreds of dollars for. It is my goal to reach out and help as many parents as I can. In fact, there is nothing for you to buy to be a part of it and I'm even giving away my latest book as an eBook to the first 50 people who sign up for this life-changing 21-day online course, just to get you to try it." Producer & Host of the Parenting TV Show "Creating Cooperative Kids"
Author of the award-winning book, "Love, Limits & Lessons"
The first 50 who sign up will receive my newest book as an eBook, absolutely FREE! Bill Corbett is the author of the award-winning parenting book series, LOVE, LIMITS, & LESSONS: A PARENT'S GUIDE TO RAISING COOPERATIVE KIDS (in English and in Spanish) and the executive producer and host of the public access television show CREATING COOPERATIVE KIDS (http://www.TheParentingShow.tv). 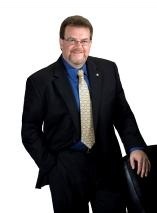 As a member of the American Psychological Association and the North American Society for Adlerian Psychology, Bill provides parent coaching and keynote presentations to parent and professional audiences across the country. He has two degrees in psychology from the University of Phoenix and sits on the board of the Network Against Domestic Abuse, the Resource Advisory Committee for Attachment Parenting International, and the management team of the Springfield Parent Academy. Bill's practical experience comes as a father of 3 grown children, a grandfather of two, and a stepdad to three. He is happily married and lives in New England. Thank you for giving me an opportunity to help you create more peace and cooperation at home. I encourage you to share this Web site to anyone you know who can use the help. I will continue to offer this FREE parent coaching and the FREE eBook for just a limited time, so I encourage to take advantage of it now. All the best to you and let me know how I can help you further!